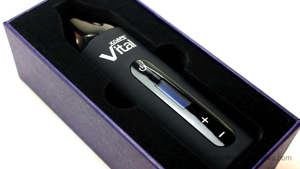 The XVAPE http://bit.ly/XVAPE_Vital_VaporizerVital is a 2200 mah, dry herb vaporizer. 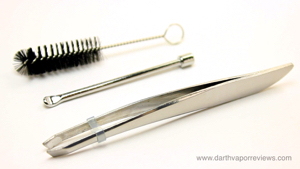 The kit includes, an instruction manual, a micro USB charging cable, a tool kit including a cleaning brush, a packing tool and tweezers; and the Vital herbal vaporizer. 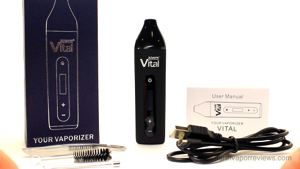 The Vital can be charged via the USB port located on the bottom of the vaporizer. It is recommended to charge the Vital for six hours before the first use. 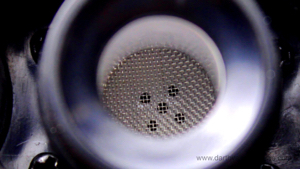 To use the Vital, pull up on the mouthpiece to remove revealing the ceramic chamber. Fill with ground herb and moderately compress with the packing tool. Press the power button for three seconds to turn it on or off. It has a five minute auto-shutoff that can be extended to ten minutes. Press the + and - buttons to adjust temperature. 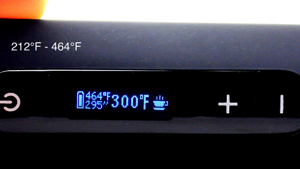 The range can be adjusted from 212°F to 464°F. Press and hold the power and - button at the same time for two seconds to switch between Fahrenheit and Celsius. 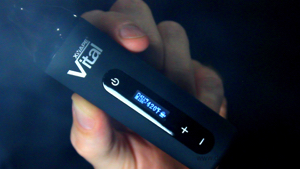 Once turned on the Vital will automatically begin to heat up.When the coffee icon becomes solid, you're ready to vape. The Vital performed great. It heats up quickly, it feels good in the hand and the ceramic chamber provided a flavorful vape. Although, the battery is enclosed and the charging port is located on the bottom, I still enjoyed the Vital and will be adding it to rotation. * Charging port located on the bottom.